Location and the ease of booking a last minute stay. Really nice big room, really should call it a suit. Great view even though it was described as a side view. The view was excellent after paying extra for a sea view Had a fresh served breakfast on Monday morning. Not at all impressed with Sundays breakfast though. Nothing at all left out all trays were empty and nothing left that was hot. We came down @ 9.30am. I liked the Library and lounge where I was able to sit and enjoy a beverage. Also the location was great and having its own parking spaces was very much appreciated. The staff were really good, the receptionist was really friendly and helpful. We are regular guests at the Cavendish and we were upgraded to a sea view suite with a separate lounge with stunning views of the seafront to the south and west. A fabulous stay at the Cavendish. Lovely walks on the promenade and so easy to pop to the room at any time as the location is so perfect. The locations is a dream, you can smell the sea as soon as you step out the reception. Rooms are extremely clean. Lobby area, bar and reception are all beautifully decorated and welcoming. The bed was very comfortable and the room was nice enough. The staff were brilliant and the food was delicious. Good value for money. Cavendish Hotel This rating is a reflection of how the property compares to the industry standard when it comes to price, facilities and services available. It's based on a self-evaluation by the property. Use this rating to help choose your stay! The Cavendish Hotel faces the coast on Eastbourne's Grand Parade. Many suites offer wonderful views of the English Channel. Cavendish Library is a quiet, relaxing space to read or enjoy coffee. There is a choice of guest lounges, and Wi-Fi is available throughout the building (for an additional cost). Marine Restaurant looks out to sea and serves local produce in pleasant surroundings. The bar overlooks the beach and serves a popular lunch menu. 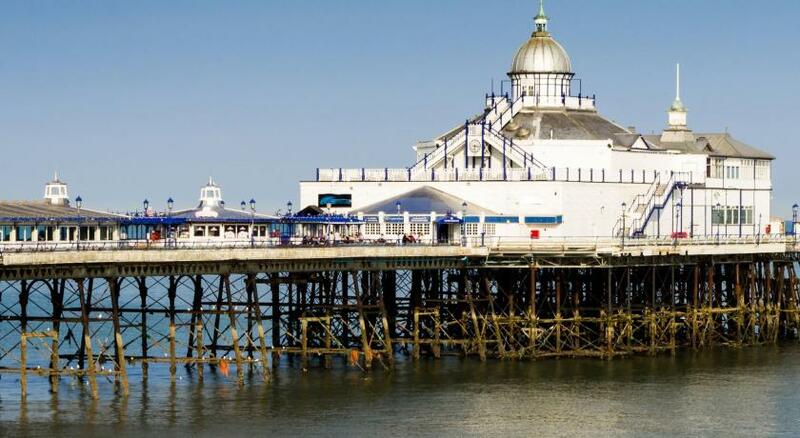 The hotel is 10 minutes’ walk from Eastbourne's shops and the Arndale shopping center. Eastbourne Rail Station can also be reached in 10 minutes on foot. When would you like to stay at Cavendish Hotel? Elegant room including a private bathroom with free toiletries, a TV, and tea/coffee facilities. Private parking is available on site (reservation is not possible) and costs GBP 4 per day. With scenic sea views, this elegant room includes a private bathroom with free toiletries, a TV, and tea/coffee facilities. This elegant room includes a private bathroom with free toiletries, a TV, and tea/coffee-making facilities. House Rules Cavendish Hotel takes special requests – add in the next step! Cavendish Hotel accepts these cards and reserves the right to temporarily hold an amount prior to arrival. Dinner supplement is based on a 3-course meal. There was a large crack in the bathroom sink and the bath surround was not clean, neither were the windowsills and the blind did not work. The bedroom carpet was heavily stained and the bedcover was marked. For £102 room only it was not good value for money. We had to park a very long way from the hotel as the car park was full. The reception staff were very efficient at taking our payment but not particularly helpful about telling us where the room was or offering to help with luggage. Lovely hotel great period features. But Hotel is bit tired. Needs a refurbishment and a good clean . Saying that the bedding was clean . Friendly staff. Good location great seaviews. Overnight stay, without food, drink or testing wider facilities. Room only basis, excellent location, room exceeded expectations and staff were excellent. The hotel & our room in particular was unclean. We had a sea view balcony which had numerous cigarette dog ends & litter on it. Generally a very ‘tired ‘ hotel which we would not visit again. The room wasn’t clean, it was shabby (scuffed furniture, peeling paint, dirty balcony) there was no toilet roll or towels in the room when we arrived. The website said there was room service but there wasn’t. The WiFi signal was rubbish. A little hot in the room. Great Location, Sea View overlooking the Bandstand. The hotel was filthy room stank and had a bag over the smoke alarm. Rubbish on the floor I could go on. Shame on you for having this on your site 4 star more like no star !!!!! We walked in the room and it was tiny with no windows or air con and was so stuffy we could not wait to get out. There was a leak mark up the ceiling and smelt very fusty. We were provided with fans but this did not help at all and spent and least time as possible as we would.